From digital therapy to smart home monitoring solutions, technology for seniors could improve their health, well-being and safety. By the year 2020, 56 million Americans will be aged 65 and older; by 2050, that number will reach 84 million. Research suggests that many Americans turning 65 will need long-term care services at some point in their lives – this could include personal care, assistance with daily tasks around the home, and specialized care for those with Alzheimer’s disease and other forms of dementia. Are you caring for a parent who wants to live out their remaining years at home? Do you think that technology for seniors could help your parent as they age and also give you peace of mind? 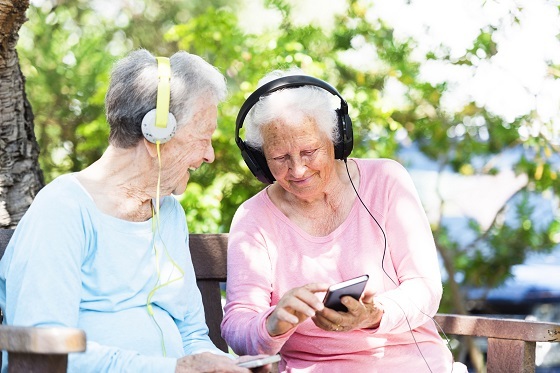 There are modern technology solutions that could be vital in improving the health, well-being and safety of seniors, especially as more and more of them want to remain living in their homes for as long as possible. FirstLight Home Care is helping to enhance the lives of older adults through a couple of key partnerships that involve advanced technology for seniors. We’ve partnered with Constant Therapy, a cognitive, speech and language therapy mobile app that allows users to access 80+ evidence-based brain tasks from a tablet or smartphone while at home or in a healthcare facility. Those living with cognitive deficits can practice memory, attention or language exercises on their digital devices. Patients who use Constant Therapy work on tasks connected to slowing the cognitive decline associated with aging. We like Constant Therapy because it not only provides a tool that benefits our clients; it also enhances our existing dementia care program by providing mental stimulation, redirecting behaviors and encouraging interaction with our caregivers. FirstLight is the first national non-medical home care company to use the Constant Therapy program to enrich the lives of these older adults. 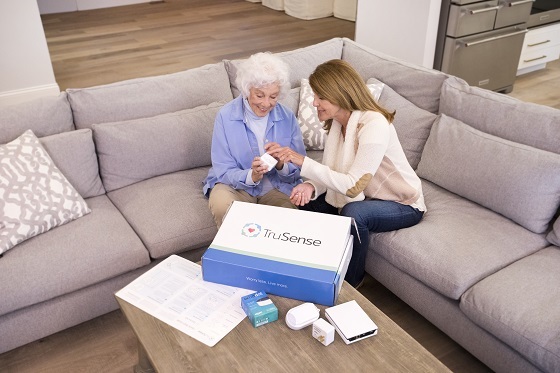 We’ve also partnered with TruSense, a smart home monitoring solution that uses sensor and GPS technology to provide insights into the health and well-being of a loved one. Family caregivers can’t always be there. Wouldn’t it be great to know when a potential safety issue arises with your parent? TruSense alerts you through custom notifications. And the senior can be instantly connected to the company’s 24/7 emergency response center with a simple voice command via integration with the Amazon Echo Dot. We like that family members can also ask Alexa how their loved one is doing anytime using their own Echo device. More of today’s seniors are embracing technology. These advanced products and services not only help seniors remain independent and engaged, they also can assist family caregivers with their daily caregiving tasks while providing peace of mind. How would these solutions change the quality of life for your loved one…and for you?